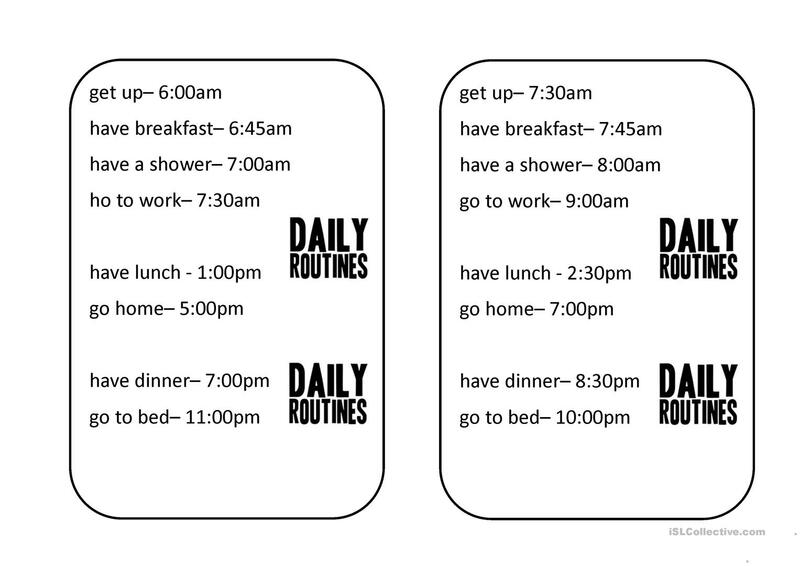 This is a recap/speaking activity about daily routines. 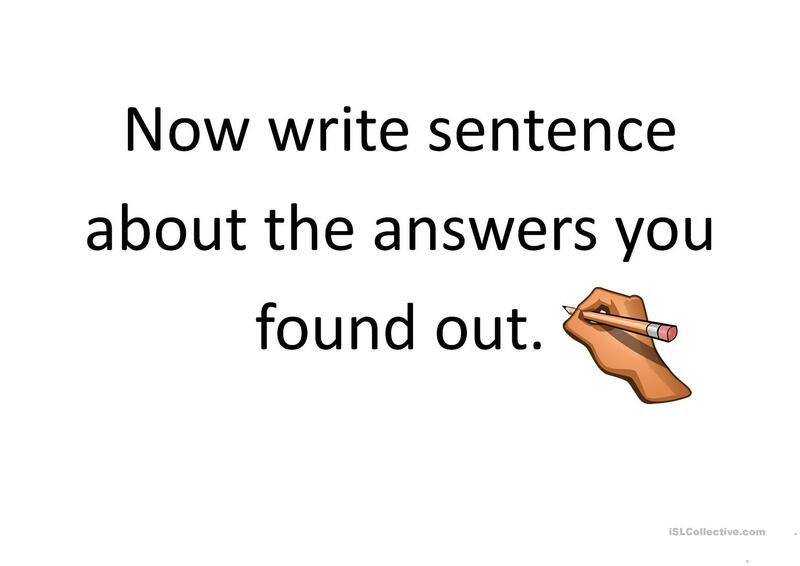 The students have to take it in turns to ask the correct questions to get the answers they need. P3 is an extension activity for pairs of SS that finish quickly. 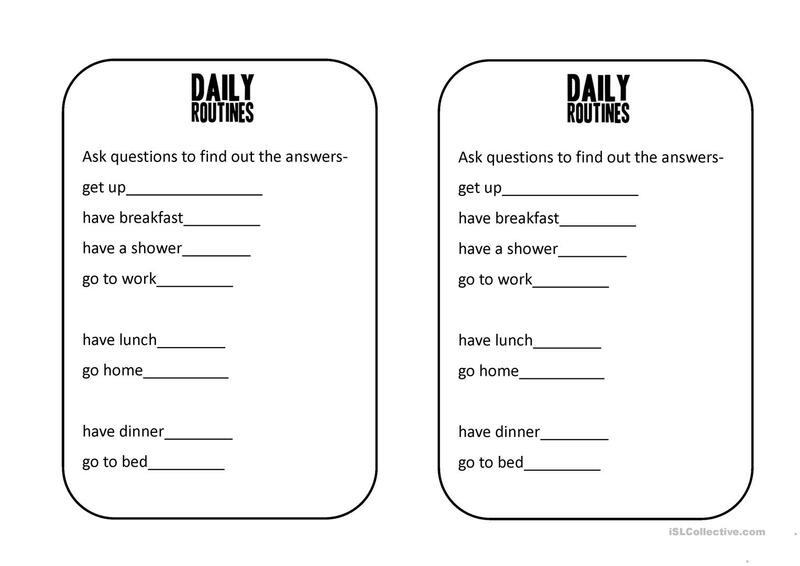 This downloadable teaching material is intended for adults at Beginner (pre-A1) level. 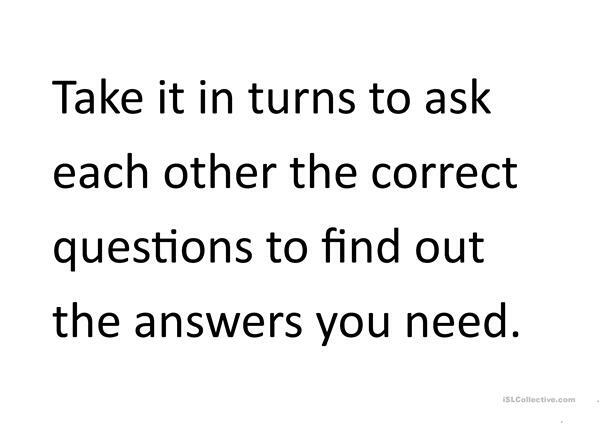 It is aimed at teaching Questions in English, and is useful for working on your learners' Listening, Speaking and Writing skills. It is focused on the vocabulary topic of Daily routines.